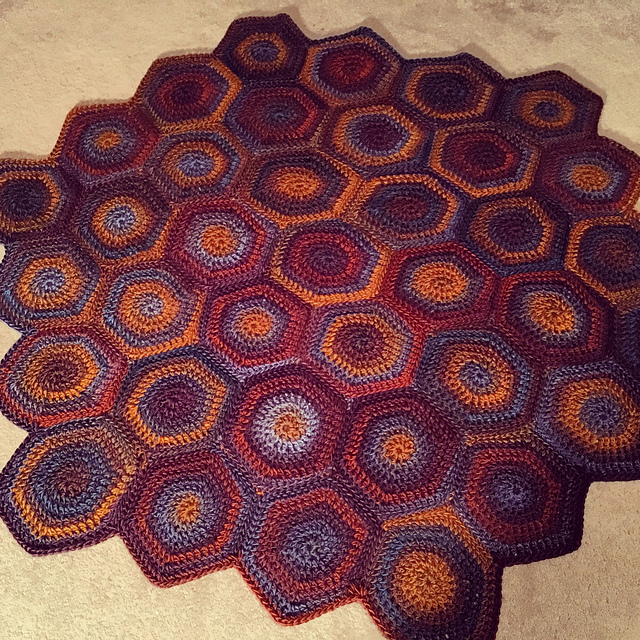 This is a fun and addictive hexagon worked in the round without joining after each round to keep the integrity of the long gradients in the color-changing yarn. I used Lion Brand Landscapes with a K hook, but you can use your favorite yarn. 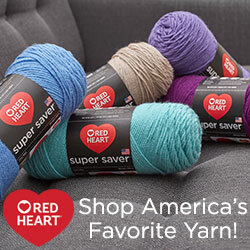 Other suggestions are Lion Brand Amazing, Red Heart Boutique Unforgettable, Red Heart Boutique Treasures, Noro Silk Garden, Noro Kureyon, Knitpicks Chroma. Please let me know your favorites. For a good price on Landscapes, I found Walmart’s regular price of $4.47 often beats sale prices elsewhere. Joann.com has frequent sales, Amazon has everything, and please check out all my affiliate links to make your online purchase, and I will get a small commission. 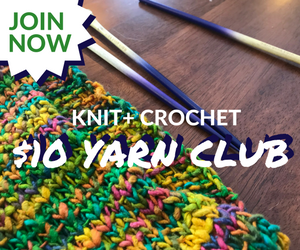 To download the pattern, go to the pattern page on Ravelry, hit Buy it Now, and input the following Coupon Code where indicated. Hit apply, and the price will come down to zero. The pattern will be stored in your Ravelry library, and you will receive any updates. The coupon code is good from now until Nov. 6, 2016, and is HEXAROUND. Please make a Ravelry project page, and share progress and photos with the group. If you post a finished photo of your afghan to your Ravelry project page I will give you a coupon for any other single pattern from my Ravelry Store. I’m still working on the last one, but I look forward to trying this one out too!